Spring has sprung I hope finally here in Southern Spain. Our weather prediction has a big yellow thing in the sky tomorrow so fingers crossed after two months of what seems like eternal rain our famous Mediterranean summer is just around the corner! 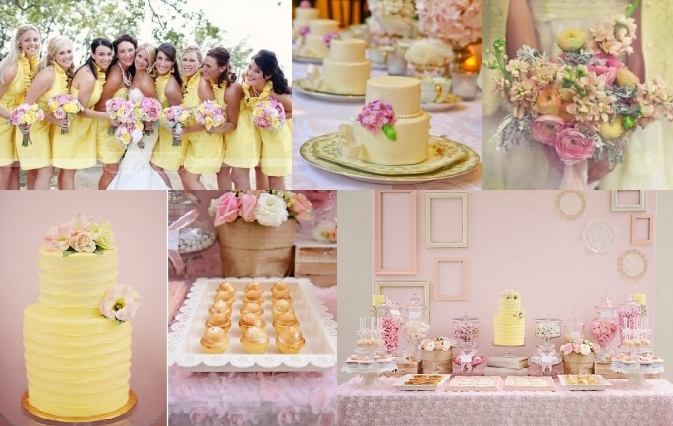 Here at Reviva we have been looking at lots of colour trends and yellows are currently predominant along with purples being featured in many spring inspirations so we thought we would create an inspiration board using this beautiful buttery hue, a colour that works well with pinks and golds as well as lilacs and soft blues. We are also designing some desert tables and love this one featured on Amy Atlas along with some fabulous images found on Pinterest.